BP is excited to be involved in the Metro FM Music Awards 2017 (MMA16). This affiliation proves that we are a fuel brand that’s keyed into and tangibly supports cultural expression through music. Music not only brings communities together, but also inspires our youth to embrace a musical career, making it a potential life-changer for the better. We “get that” and want to be part of that journey with you, our customers. Because we “get you”, we also know that your vehicle is very important to you. Your car is your independence. It enables you to live your life, enjoy good music while you are driving, and “go your way”. 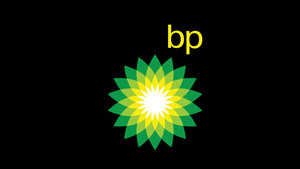 At BP we don’t make cars. We don’t make engines. But we do make the best fuel that has proven benefits, fuel economy and reliability. We keep South Africans moving. When we invest in young people, we invest in the nation’s future, and in the future of our business. Music contributes to a thriving national economy and thus we are proud to be involved and partner with the Metro FM Music Awards 2017.